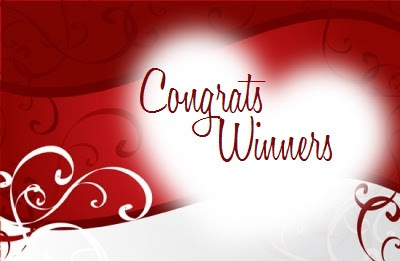 We have lots of winners to announce but first I wanted to take the time to say a SUPER BIG THANK YOU to all of the authors that participated and donated goodies for the Sealed With a Kiss Event. You all rock my socks and I can't thank you enough for sharing your character love letters with us all. When this book first came to my attention I found myself dying to read it. I'm a huge fan of tropes where the characters already know each other and this one and once I learned that not only were the hero and heroine longtime neighbors who once had a one night stand and that one of them had always been in love with the other, I quickly jumped at the chance to read. Oh my goodness this book did not disappoint. I know some people had a few issues with the heroines antics but I loved the book completely and I can't wait to read more from Robin Bielman. Lyric and Quinn grew up together living next door to one another and weren't always on the friendliest of terms. Where Lyric gravitated to Quinn's brother and fancied herself in love with him, Quinn always felt like the odd man out who was secretly in love with Lyric. Rather than express his true feelings towards Lyric he acted as all guys do while faced with that situation, he teased her mercifully which prevented Lyric from ever really wanting to get to know Quinn. When tragedy strikes and Quinn's brother is killed in a car accident it leaves both Quinn and Lyric reeling. When a moment of shared grief between the two becomes so much more intense than either ever expected, it finds Quinn running from the one thing he's always wanted. It's been four years since Lyric has laid eyes on Quinn. After the one night they spent together she doesn't really know how she feels about him. On the one hand Quinn is the one person she thought she always hated. But on the other, she is beginning to release that the feelings he invokes are as far away from hate as possible. The more time she spends with him the more evident it is that it's not hate she's feeling. If only her feelings for Quinn were the only thing that Lyric had to worry about. Lyric has a secret that if Quinn finds out about, he might just hate her for. I loved the relationship between these two. The sparks and chemistry these two have is evident to everyone but them. Somehow they are both blind to the fact that they are in love with one another. I loved watching them interact with one another. Quinn has spent his life feeling like he was living in the shadow of his brother, never feeling good enough about himself especially when it came to Lyric. Oh how my heart broke for him. He has so much pain and guilt deep inside and he's struggling with it all. I enjoyed watching him let it all go and accept that he isn't second best. I really enjoyed this book and I can't wait to read more from Robin Bielman. Today I would like to welcome Natalie-Nicole Bates to the blog. Natalie-Nicole is visiting and she is sharing the inspiration behind her book, See Me. Please give Natalie-Nicole a warm welcome. 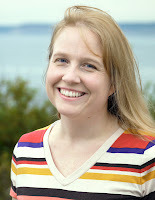 Today I am happy to welcome debut author Ashlyn Macnamara to RFTC. Ashlyn is gearing up for the release of her book A Most Scandalous Proposal and has stopped by to answer a few questions. Please give a warm welcome to Ashlyn. 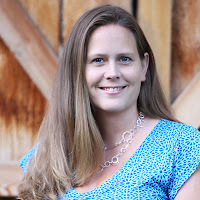 Today I would like to welcome author Wendy Sparrow to RFTC. Wendy is celebrating the release of her novella Frosted and has stopped by to chat. Please give Wendy a warm welcome. At home in the Pacific Northwest, Wendy Sparrow writes for both an adult and young adult crowd. She has two wonderfully quirky kids, a supportive husband, and a perpetually messy house because writing is more fun than cleaning. She enjoys reading with a flashlight under a blanket—the way all the best books should be read—and believes in the Oxford comma, the pursuit of cupcakes, and that every story deserves a happily ever after. Most days she can be found on Twitter where she’ll talk to anyone who talks back, and occasionally just to herself. Today I am happy to welcome to RFTC author Nancy Naigle. Nancy is super awesome and nice and is one of the authors that is part of the Dangerous Darlings Street Team. Nancy has stopped by to chat and share some info about the Dangerous Darlings team but first let's get to know a bit about Nancy. Nancy Naigle writes love stories from the crossroad of small town and suspense. Aside from writing she enjoys hunting for treasures in junk and antique shoppes with friends, and getting crafty no matter what the medium from painting and digitizing embroidery designs, to weaving pine needle baskets. A Virginia native, and spending most of her life in the Tidewater area, she and her husband of 15 years moved inland to the quiet of Southampton County. They now live in a log-sided home on a working goat farm with their two labs and more kids (the four-legged kind) than they keep count of, where they live their own small town love story. I was surprised by how much I liked this book and when I say liked I really mean loved. I loved this book. It was so good and I just couldn't put it down. Looking at the cover I thought I was going to be reading something light and cheery, but that was definitely not the case. This book was deep and filled with so much emotion. Several years ago Evie and Logan spent one passion filled week together that left a lasting impression on both. Neither has been able to get over what happened between them even though they both went their separate ways to live their lives. Now their paths have crossed again and both try to act like nothing serious occurred between them. The passion between Evie and Logan is apparent to everyone around them. Both continue to deny their feelings but before long neither are able to keep their hands and mouths off one another. When Logan and Evie spent that one week together, it scared Logan to death. The passion and heat between them was explosive and brought out a side of Logan that he was afraid of. Evie just gave in too easily to his demands and his need to dominate her freaked him out. When Evie is accidentally hurt during one of their interludes, it's a wake up call to Logan. He sees himself becoming like his father who was abusive to him and his mother and he is terrified. So he makes the decision to walk away from Evie and all of the feelings and emotions she brings out in him. Seeing Evie again brings back all of the feelings and emotions that Logan had long ago buried. Logan would like nothing more to be with Evie but he just doesn't do relationships. He keeps himself closed off from everyone and no one really knows the real Logan, not even his family. I loved the relationship between these two. It was hot, explosive and in your face. Yet at the same time it was sweet and tender. The way that these two were able to grow and learn from one another was great to see. They both have such a strong bond and I love that Evie was patient and strong enough to stick with Logan and help him conquer his demons. This was such an amazing book filled with so much love and passion. I definitely can't wait to read more from this author. Shell-shocked by Jeremy's betrayal, Annabel retreats into the quiet routine of TV dinners and solitary evenings. It is then that Annabel's best friend, fashion designer Lilly Clayton, sets herself on a mission to draw Annabel out of her shell. In an attempt to persuade Annabel to keep an open mind on dating, Lilly takes Annabel for a stunning makeover, but after Annabel passes on a date with a dashing entrepreneur, Lilly decides that more drastic measures are needed. 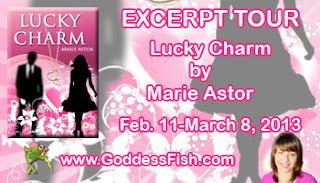 Lilly invites Annabel to see a palm reader who gives Annabel a lucky charm that is supposed to help her find true love. A few weeks later, Annabel meets a new love interest, and as the two embark on a whirlwind romance, she starts to believe in the power of the talisman the palm reader has given her. 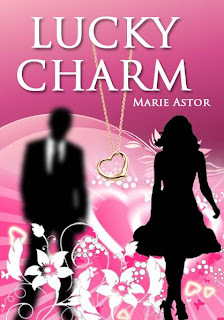 But what Annabel doesn't know is that Lilly is hiding a secret that could unravel her faith in her newly found luck in love. 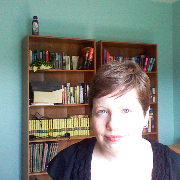 Today I would like to welcome author Patricia Eimer to RFTC. Patricia is celebrating the release of Devil May Care, book 2 in her Speak of the Devil series and has stopped by to chat. Please give Patricia a warm welcome. Today I am happy to welcome back to RFTC one of my most favorite people, author Juliana Stone. Juliana is celebrating the release of Collide, book 2 in her Barker Triplets series and has stopped by today to chat. Please give Juliana a warm welcome. 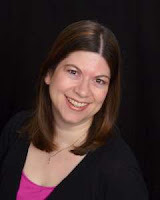 Today I would like to welcome back to RFTC author Heather Thurmeier. Heather is celebrating the release of her newest book Stuck on You, and has stopped by to chat. Please give Heather a warm welcome. 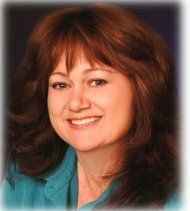 Today I would like to welcome to RFTC, author Linda Morris. Linda is celebrating the recent release of her book Melting the Millionaire's Heart and has stopped by to answer a few questions. Please give Linda a warm welcome. 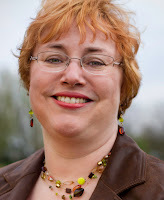 Linda Morris is a multipublished writer of contemporary and historical romance. She writes stories with heart and heat. Her latest book, By Hook or By Crook, will be coming in spring of 2013 from the Wild Rose Press. When she's not writing, working, or mommying, she's doing yoga, reading, working in her flower garden, or baking delicious things she probably shouldn't eat. She believes that there are two kinds of people: pie people and cake people, and she is definitely one of the former. Her years of Cubs fandom prove she has a soft spot for a lost cause. A beat-up old copy of Kathleen Woodiwiss's Ashes in the Wind that her mom bought for her at a garage sale years ago was her gateway drug into the world of romance novels. Her all-time favorite romance writers include Laura Kinsale, Patricia Gaffney, Elizabeth Delancey, and Marjorie Ferrell. Current favorites include Julie Anne Long, Erin McCarthy, and Shannon McKenna. 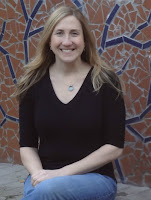 Today I would like to welcome author Lisa Burstein to RFTC. Lisa is celebrating the recent release of her book, The Next Forever and has stopped by to share her top 10 favorite love story movies. Please give Lisa a warm welcome. Today I would like to welcome to RFTC, author Addison Fox. Addison is celebrating the recent release of her book Tempting Acquisitions and has stopped by to answer a few questions. Please give Addison a warm welcome. 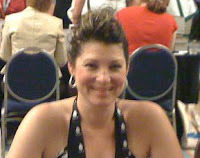 Her paranormal romance series, The Sons of the Zodiac, launched with NAL in March of 2010. The series recounts the adventures (and path to true love!) for an immortal band of warriors, granted the powers of their astrological signs and charged with protecting humanity. 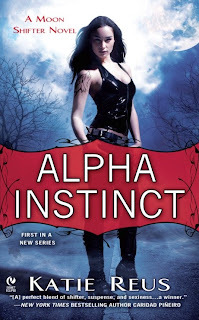 Beginning in November 2011, Addison will have a new contemporary series on shelves as well. BABY IT’S COLD OUTSIDE is the first in the Alaskan Nights series. Set in the fictional town of Indigo, Alaska, a couple of city girls are about to learn that the wide open spaces of Alaska just may hold everything they’re looking for. Today I would like to welcome to RFTC, author Sable Hunter. Sable has stopped by to chat about her newest release I'll See You in My Dreams. Please give Sable a warm welcome. 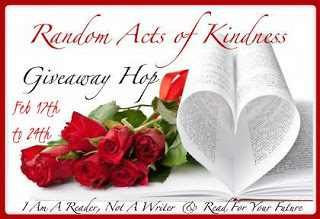 Welcome to the Random Acts of Kindness Giveaway Hop. This hop was organized by I Am A Reader, Not A Writer and Read For Your Future and will run from February 17th - 24st.